Genuine Leather Convertible Leather Case for all iPads. Convenient adjustable hidden velcro fitting to secure all iPads? 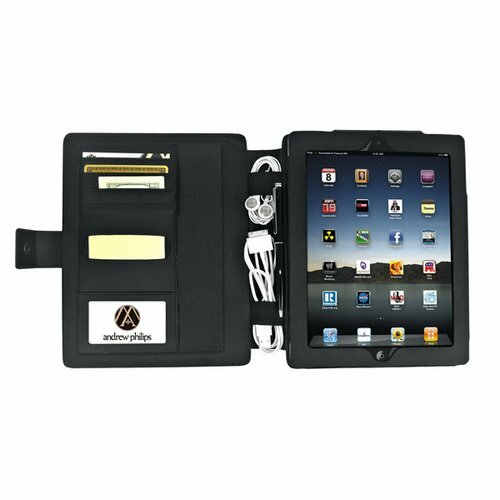 Holds post-it notes, business cards, pen, stylus, etc. iPad? is a federal registered mark of Apple Inc.